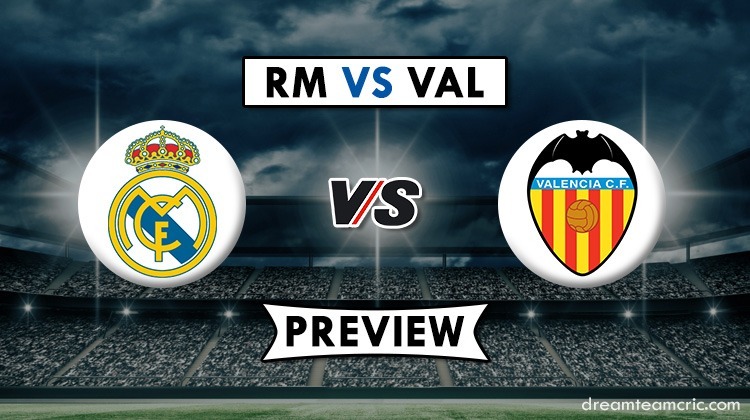 Valencia will host a revitalised Real Madrid in tomorrow’s La Liga match at Mestalla. It should be an exciting match between two teams aiming to finish as high as possible. Real Madrid look lively again after the arrival of club favourite Zidane, while Valencia are pushing for a Champions League spot in the final few matches. Having surrendered league title to Barcelona, Real Madrid would still want to finish at least in 2nd position and above their bitter rivals Atletico Madrid. A tough test awaits Valencia who will be facing a resurgent Real Madrid tomorrow. The home team is in a race to the get a place in the top 4 places, with as many as 6 teams fighting for the 4th spot. Hence, they could have wished for a weaker opponent than the Los Blancos but they will have to do it the hard way. Notably, Real Madrid have a great record against Valencia as they have been undefeated in 19 of the last 21 matches against the hosts. Having won 3 of their last 4 matches, both the teams are coming off a decent run in recent games. Valencia, in particular, have been on a good run and they haven’t lost any of their last 11 La Liga games. Understandably, this run will give them the confidence to win a place in the top 4 in the remaining 9 matches of the campaign. Real Madrid, on the other hand, are 2 points behind Atletico Madrid and they would love to get past them. They have their highly successful coach Zinedine Zidane back after his sabbatical. Piccini is out injured and Daniel Wass or Facundo Roncaglia could replace him. Carvajal is not still not fit meaning Odiozola will keep his place at right back position. Parejo is central to whatever Valencia build in the middle of the park. Gaya is an exciting left back who likes to get forward to make an impact. Rodrigo Moreno is quick and his movement could trouble Real Madrid defence. Benzema has been the best player for his team this season. Kroos and Modric are expected to shine under Zidane again. Prediction – We expect Real Madrid to get back on track and win this game 2-1.